Whenever I sit down to edit a recent shoot, be it a wedding, family session, event, Kastles match, or just pictures of my family, I have a really hard time whittling those pictures down to the best of the best. I love all of my pictures, even the ones where someone is blinking or making a face (sometimes those are the best!). I decided to do a look back at 2012 with my favorite shots from each category I covered, but to start I figured I’d put some of my favorites in one post and give you a little taste. In doing this I went with the shots that stuck out in my mind before I even began to dig through the archives. I figure this covers it all. I mean we have a little bit of everything I’ve shot this year, including the space shuttle as it flew over my office on its way to the Udvar-Hazy Center. 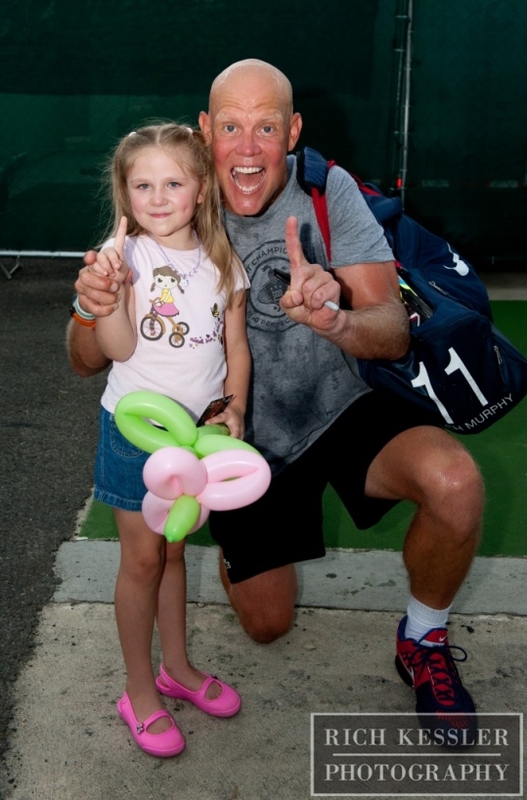 I took Holly to her first Kastles match this summer so she could get a glimpse as to what her future holds: Wimbledon Champ, WTT Champ, French Open Champ, US Open Champ, Olympic Gold Medalist. Am I missing anything? After warm-ups I took her to Coach Murphy Jensen. She loves Coach Murphy. Which leads us to this… Holly was invited to participate in the ‘kid tunnel’ to welcome the players onto the court. The visiting team doesn’t get all of the pomp and circumstance but she knew something big loud was coming. Shortly after this was taken the cannons went off and she lost it. My star walked right off the court, holding up intros 😉 I was grateful to see Leander Paes and Anastasia Rodionova take a few moments to talk to her and calm her down a little before they headed out. 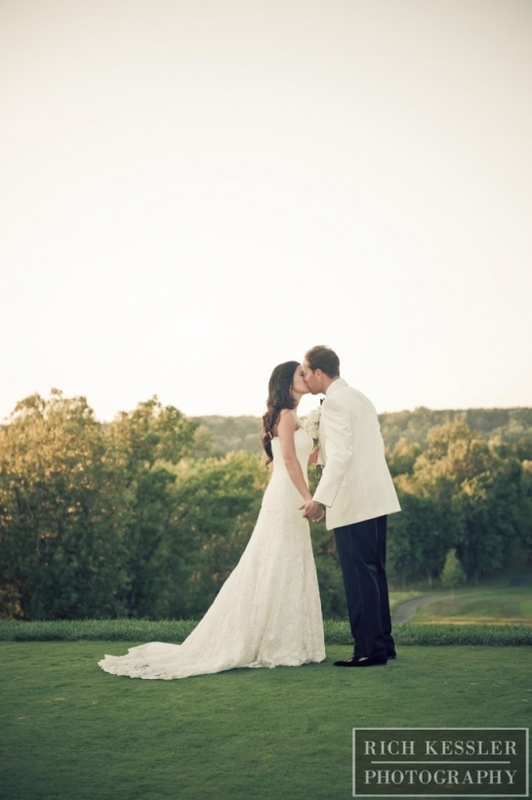 One of my favorite wedding images from 2012 belongs to Alexandra and Jack‘s beautiful August wedding at Trump National Golf Course. This was taken on the first tee at sunset. I snapped this one backstage at Fashion For Paws moments before Marie Osmond took the stage with this adorable pup and announced to the crowd that she was adopting him. I’m especially proud of this photo as it was picked up by various media outlets following the event. The crowning achievement was when I saw this appear both online and in the Washington Post print edition. Megan Hilty (from ‘Smash‘ and the Tinkerbell movies) was the guest of honor at the Washington Humane Society’s Bark Ball. I managed to snap this shot of Megan and her boyfriend as she took a break from all the posing and smiling. It’s one of my favorite candid moments from 2012. For the second straight year Michelle Obama and her family came out to support the Washington Kastles and Venus Williams. With the help of a Nikon 300mm I was able to position myself in the right spot and get some great shots of her. One of my favorite non-human shots from Fashion For Paws features Bisou. This may have summed up Bisou’s feelings at being up late, or she was just having a diva moment. In a contest to be featured on marketing materials for the 2013 F4P Runway Show this photo pulled top honors and will grace the cover of the program as well as the marketing materials for the show. I love being a part of F4P and am humbled that this photo was considered for the contest, and won. Another summer wedding favorite comes from Jacklyn and Matt’s wedding. This was one of the final shots from our portrait session at the Stone Bridge in Manassas and it’s one of my favorites from the day because the position of their hands. 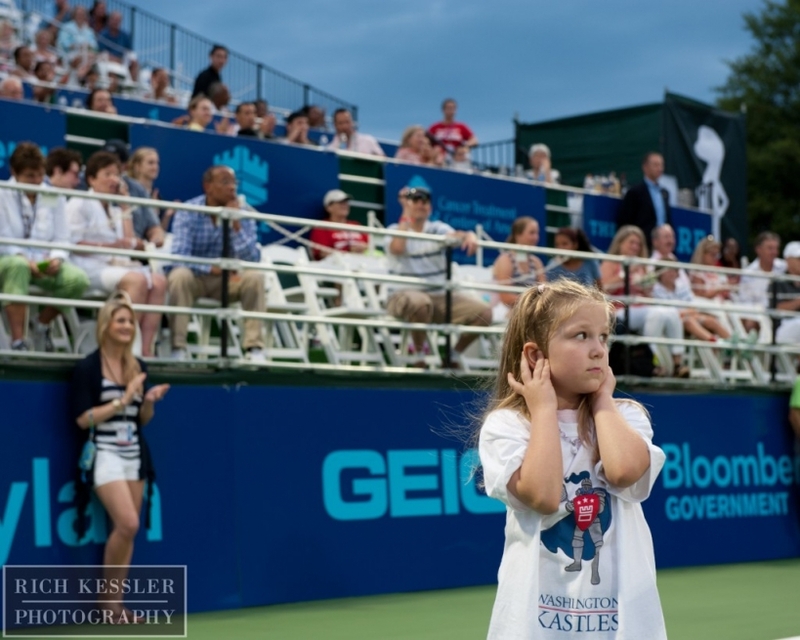 This is my absolute favorite shot from this season with the Kastles. Thanks again to the trusty Nikon 300mm I was able to position myself in the stands and still get a close, crisp snap of Venus in mid-serve with the ball still on her racquet. In the background, just above the Geico sign, you can see the Obama girls. From the WHS’ Sugar and Champagne event we have Dr. Katy Nelson and Stanley. This one means a lot to me because it was one of the last pictures I took of Stanley before he left us. A couple of years ago I took Stanley’s first ‘official’ pictures when he joined Katy for her headshots. I’ll miss that guy, he was always a fun pup to be around. Over the summer I took part in a lighting workshop that had us go off in to three groups to learn about different options available to us. This particular group was hosted by Erum Rizvi and focused on using a video light. With just the smallest handheld light available (and whatever low wattage garage lights there were) I walked away with this beautiful image. One final image from the Bark Ball. After the dinner was done and funds had been raised, this lovely couple took to the stage to show everyone how it was done. I wish I had gotten their names because I would love to send this to them. They were having the time of their lives on the stage showing off their sweet swing dancing moves, even if the DJ wasn’t playing anything that was even close to swing music. This was one of those pictures mentioned above, I just knew I had to put it in here. One of my final weddings for 2012 was a second shooting opportunity with Amanda Godlove from Lux Photography. Amanda had helped me with Alexandra and Jack’s wedding and I was able to return the favor for this beautiful October wedding which featured yet another bride named Alexandra. My final image is of the Space Shuttle Discovery as it makes its way to the Udvar-Hazy Center in the homestretch of her retirement tour over the DC area on April 17th. My office is directly in the flight path of Dulles Airport and we were treated to not one, but two (very low) fly overs as they lined up their approach. I’ve seen a lot of profile shots from that day but not many from behind. This always felt like the whole ‘riding off into the sunset’ thing to me. Once of these days I’ll get this up on my wall in canvas form. © 2019 Northern Virginia Wedding, Family Photographer|ProPhoto Photography Website by NetRivet, Inc.